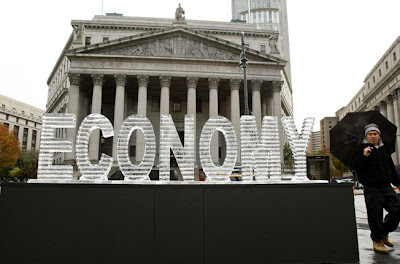 Freeze and thaw ... a man passes by an ice sculpture entitled "Main Street Meltdown," in New York in 2008. 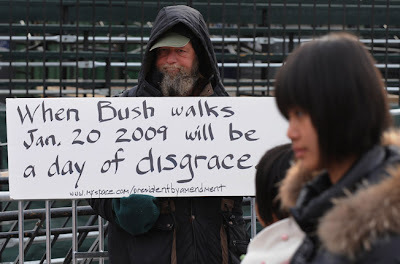 Diehard ... an elderly man holds a placard protesting against President Bush outside the White House in Washington on January 17. 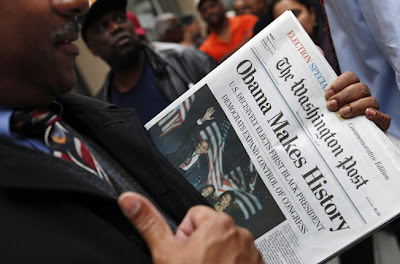 Collector's edition ... people line up outside the Washington Post newspaper to purchase special election editions. 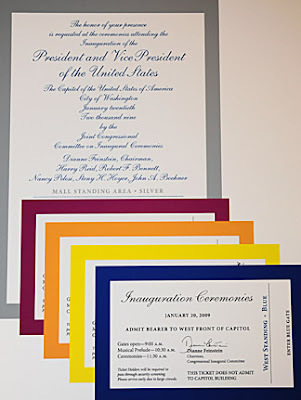 Welcome to the party ... an invitation and tickets to the presidential inauguration to be handed out to Congressional members on view at the Capitol in Washington, DC. Keep your friends close .... 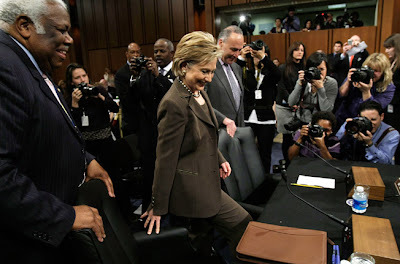 Senator Hillary Rodham Clinton was tapped by Barack Obama to lead the State Department after he defeated her in the Democratic primaries last year. 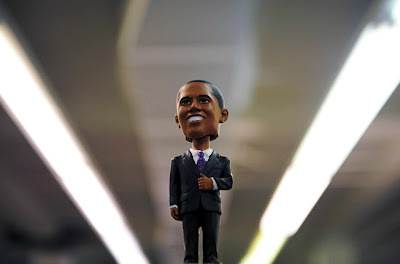 V for victory ... a doll of Barack Obama is displayed for sale ahead of his inauguration at a shop in Washington. 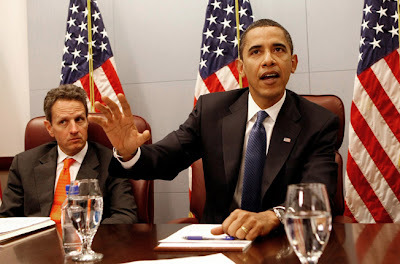 Under fire .. Treasury Secretary-designate Timothy Geithner looks on as Barack Obama meets members of his economic team at his transition office in Washington. Family first ... Mr Obama with daughters Malia and Sasha as they meet at the Honolulu Zoo on December 30, 2008 . 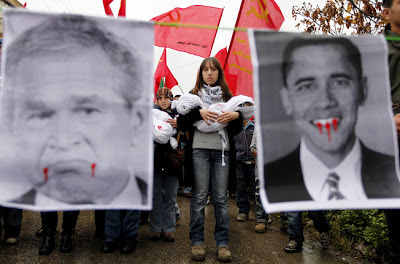 Tarred by the same brush ... a Lebanese leftist protester, is seen between two anti-US posters featuring USPresident George W. Bush, and US President-elect Barack Obama. 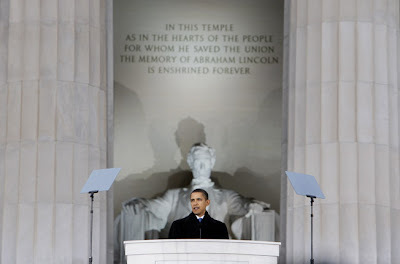 On the shoulders of giants ... President-elect Barack Obama speaks at the Lincoln Memorial during an inaugural concert in Washington, Sunday, Jan. 18, 2009 . 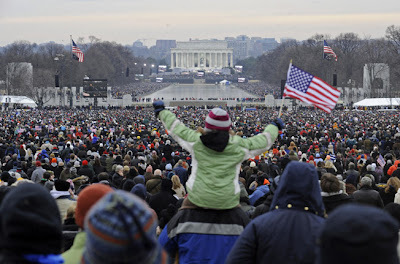 Crowd pleaser ... people listen and watch the "We Are One: The Obama Inaugural Celebration At The Lincoln Memorial" at the National Mall in Washington DC, January 18. 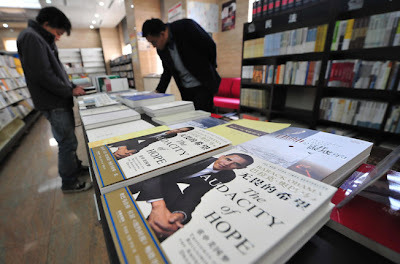 Bestseller ... Barack Obama's book The Audacity of Hope on display at a publishing house in Beijing on November 14, 2008, where young Chinese editor Han Manchun was responsible for the book's domestic release. 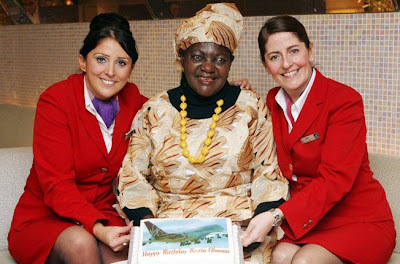 High flyer ... Barack Obama's stepmother Kezia Obama is presented with a birthday cake by Virgin Atlantic staff Candice and Sam as she leaves London's Heathrow Airport to travel to Washington where she will watch her stepson become the new President of the United States. 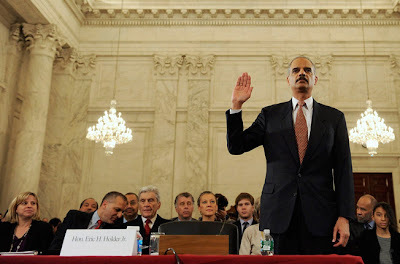 Law maker ... former US Deputy Attorney General Eric Holder, President-elect Barack Obama's nominee to be Attorney General, is sworn in for his confirmation hearing before the Senate Judiciary Committee on Capitol Hill in Washington January 15, 2009. Popular culture ... this undated handout photo provided by Marvel Comics shows the cover of "Spidey Meets the President!" 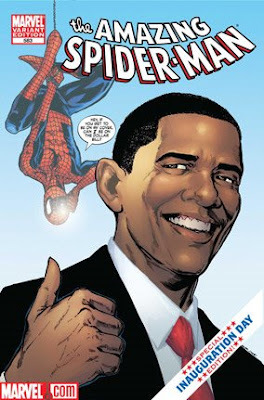 a five page story featuring Spider-Man and Barack Obama on inauguration day in "Amazing Spider-Man #583." 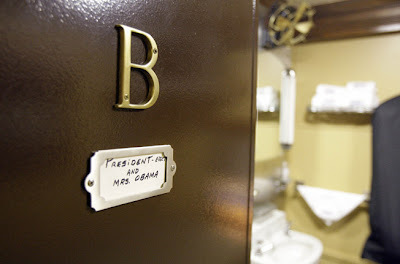 Double B ... Barack Obama's room is labeled on the Georgia 300, a private rail car owned by John "Jack" Heard, from Fernandina Beach Flag, Thursday, January 15, 2009, at the rail yard in Washington. Headlong ... 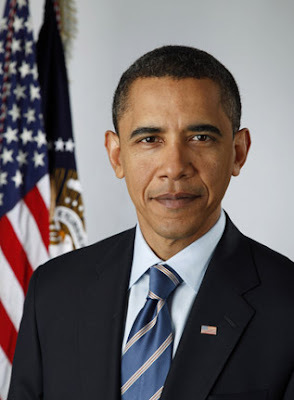 The brand new office portrait of Barack Obama. 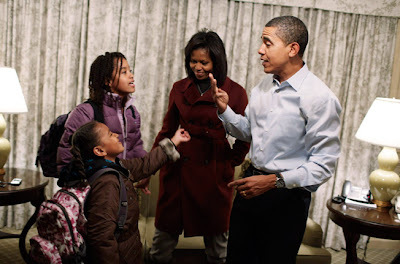 Day one ... Barack and Michelle Obama get their daughters Sasha and Malia ready for their first day of school at Sidwell Friends in Washington, January 5. 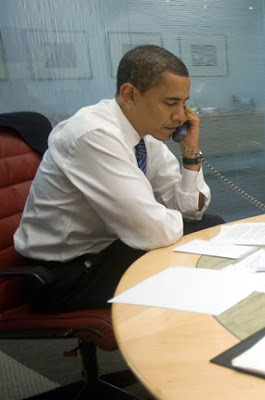 World of thanks ... Mr Obama spoke by telephone with the leaders of nine US allies to express thanks for their congratulations . 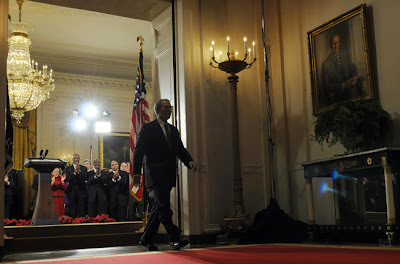 The long walk ... days before handing the reins to Barack Obama, US President George W. Bush leaves after delivering his final farewell speech to the nation at the East Room of the White House in Washington, DC, on January 15. 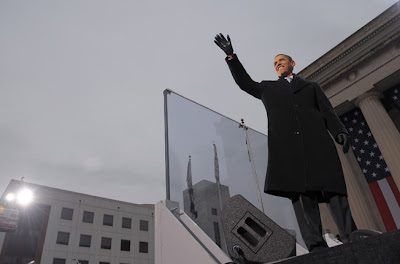 Shatterproof ... Mr Obama waves as he makes his way onto the stage to address supporters at the War Memorial Plaza in Baltimore on January 17. 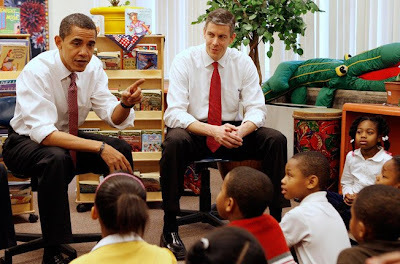 Safeguarding the future ... Barack Obama and Chicago Public Schools Chief Arne Duncan, his nominee for secretary of education, talk to school children at the Dodge Renaissance Academy in Chicago December 16, 2008. Out with the old ... a wax figure of Mr Obama, right, is on display at Madame Tussauds Wax Museum, as workers carry a wax figure of George W. Bush outside the building in Amsterdam, Netherlands, on January 15. Five days prior to his inauguration, Obama's figure was also unveiled at Madame Tussauds in London, Berlin, New York and Las Vegas. 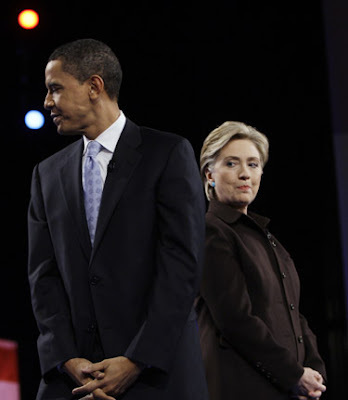 Old ties ... USA Democratic Presidential hopefuls Barack Obama and Hillary Clinton after they arrived for a Democratic debate at the Kodak Theatre in Los Angeles, California. 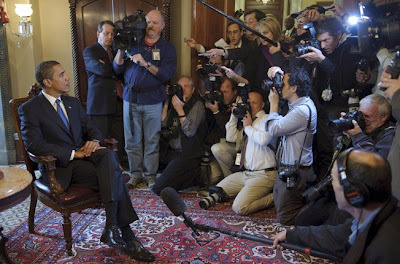 Centre of attention ... Mr Obama speaks to the media after a meeting with Senate Majority Leader Harry Reid of Nevada and vice president elect Joe Biden at the US Capitol in Washington. Historic words ... Barack Obama's speech on the great American conundrum of race bearing his signature, is on display at the new black history exhibit, "AmericaIAm: The African-American Imprint" at the National Constitution Center in Philadelphia. 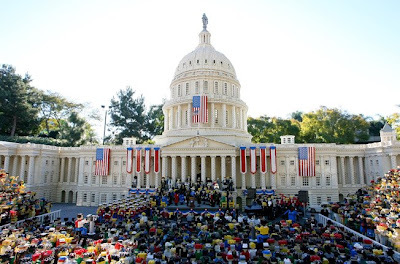 Life in miniature ... historic scene depicting Barack Obama taking the presidential oath of office on the steps of the Capitol in Miniland Washington DC, in Legoland park in Carlsbad, California. Vision of the Future ... "Barack Obama," a mixed media collage by Shepard Fairey, is installed in the National Portrait Gallery in Washington. 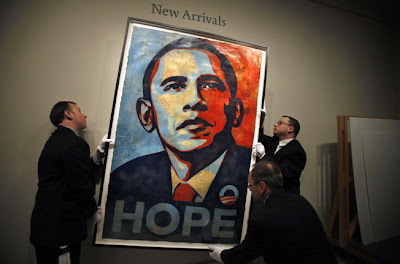 Fairey's large-scale, mixed-media stenciled collage was the central portrait image for the Obama campaign and was previously distributed as a limited-edition print and as a free download.